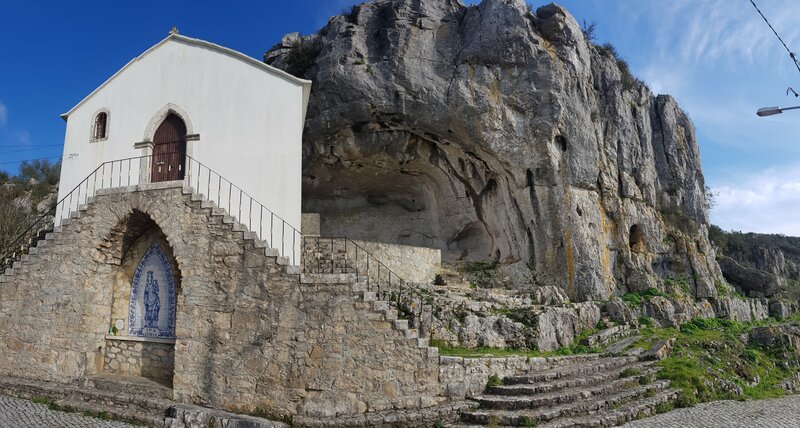 These are the remaining two crags in the Serra do Sico that are covered in the new Versante Sud Portugal guide. 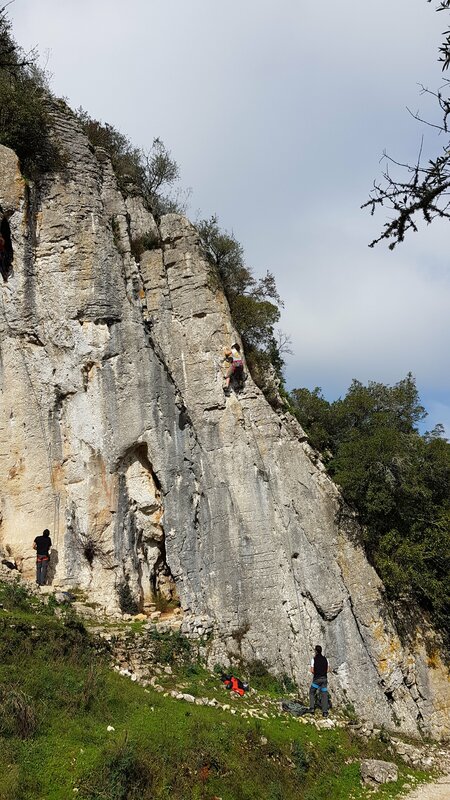 Whilst I mention it, it’s worth giving the guidebook a plug: Portugal Rock Climbs by Carlos Simes. 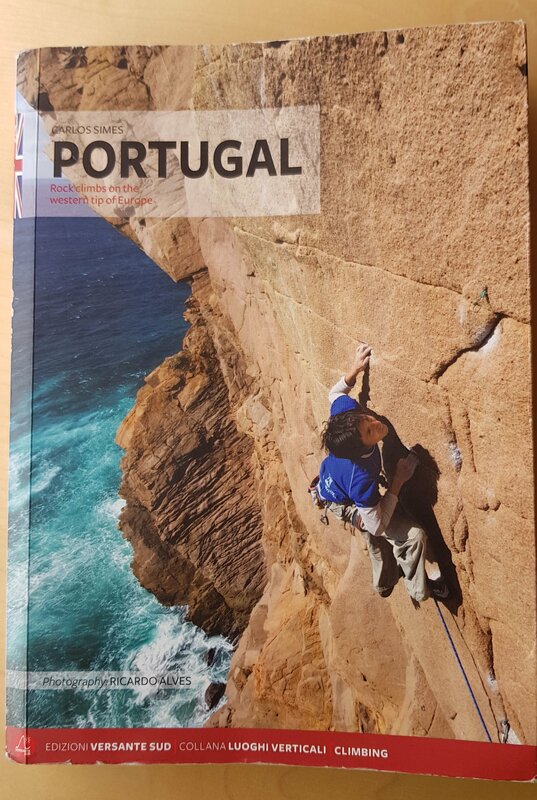 It’s a really well put together compilation of a bunch of great crags, illustrated with many action shots and written in English throughout (there are also Portuguese and German versions available, such is the miracle of digital printing!) 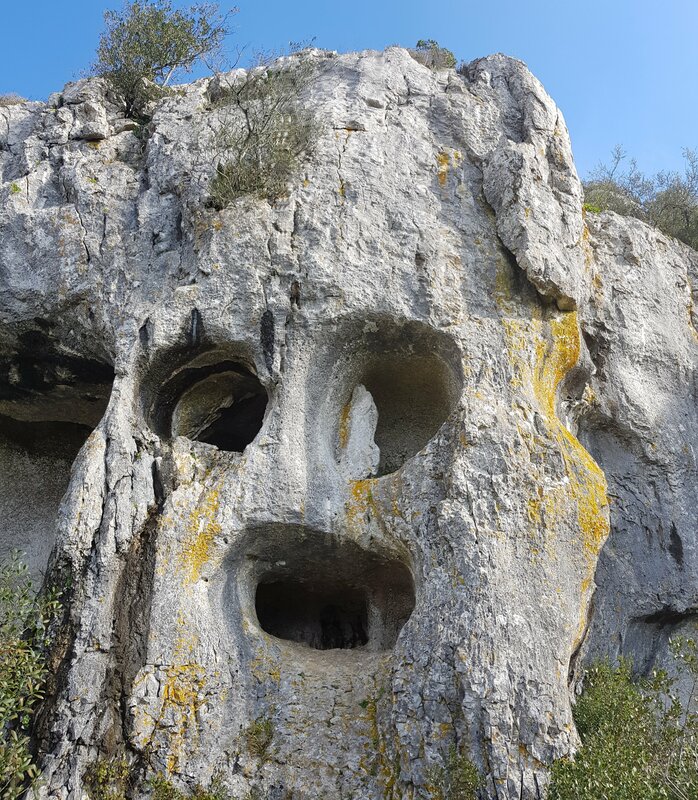 The author has worked with local experts to provide some really insightful historical essays and descriptions of the “scene”, as well as practical information, and the QR codes for crag parking are generally spot on. 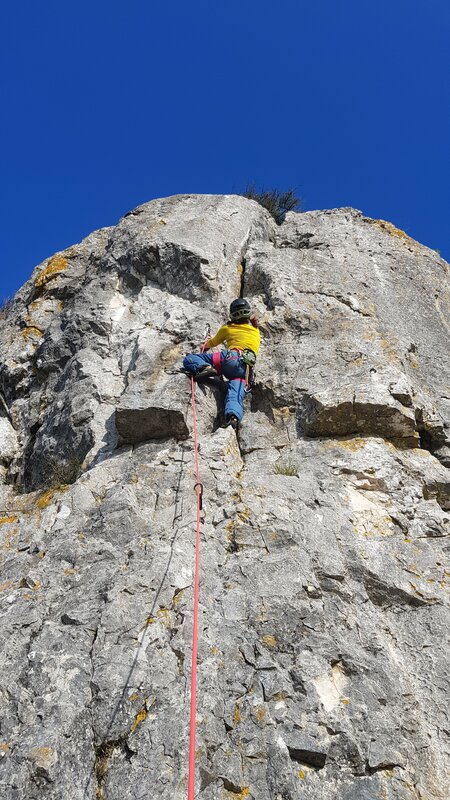 The only couple of areas of “room for improvement” are the crag approach descriptions (which largely rely on a dotted line on a sketch map) and indication of the orientation of individual sectors (useful when trying to make the most of the sun / shade in a complex area). 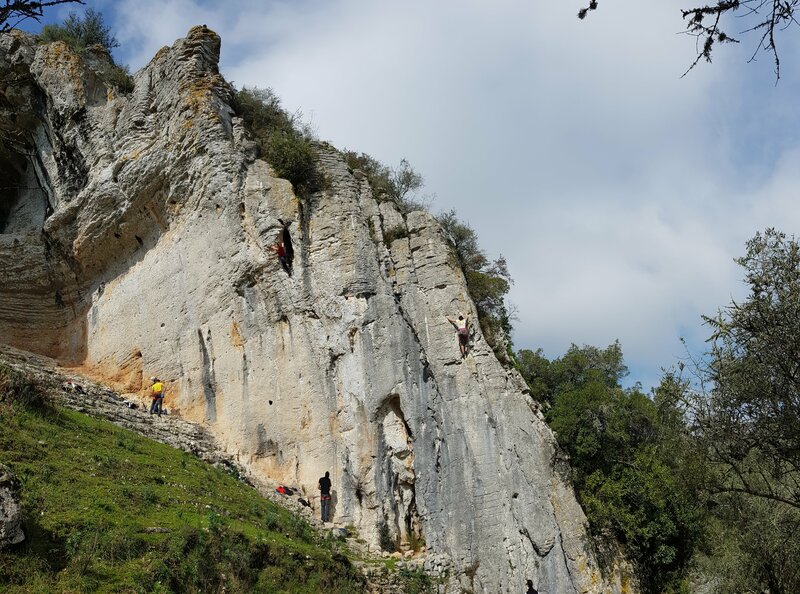 We fell victim to the latter issue today, looking for dry and sunny rock (after overnight showers) we headed to Baracas. 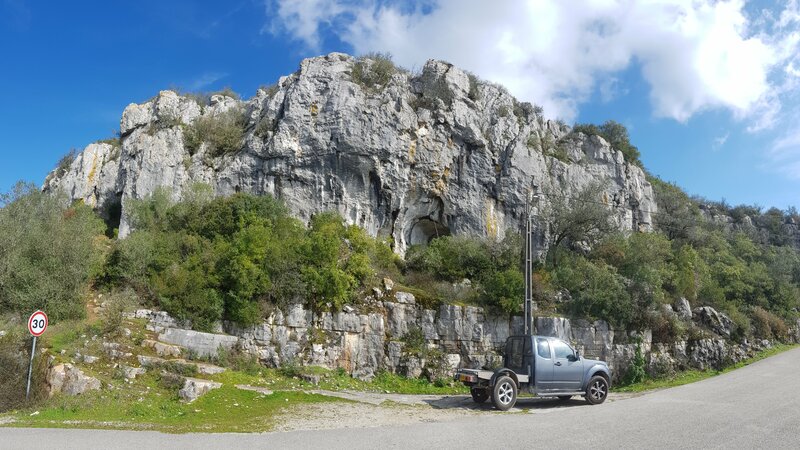 This is an absolutely enchanting spot; a cluster of crags set either side of a dirt road running a mile or so from the delightful village of Casmilo. 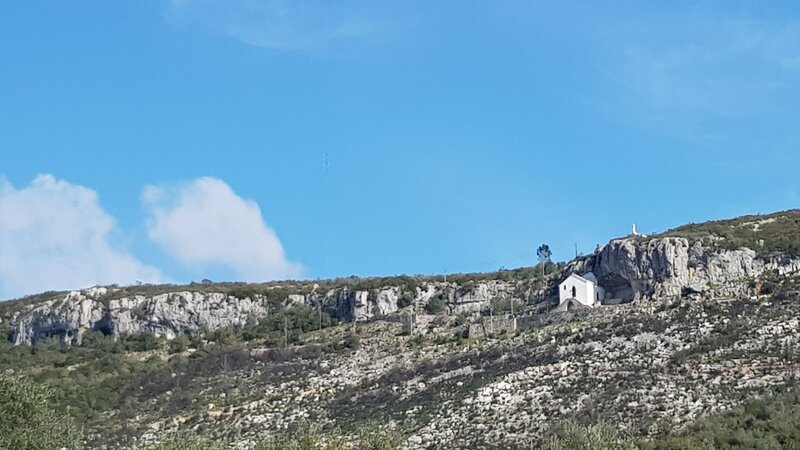 We occasionally feel a bit intrusive, trundling through a sleepy hamlet and then on through olive groves to park amidst someone’s smallholding, but the dozen or so identical carved wooden signs indicating the route through the village were a clear demonstration that climbers were welcome. Thank you! 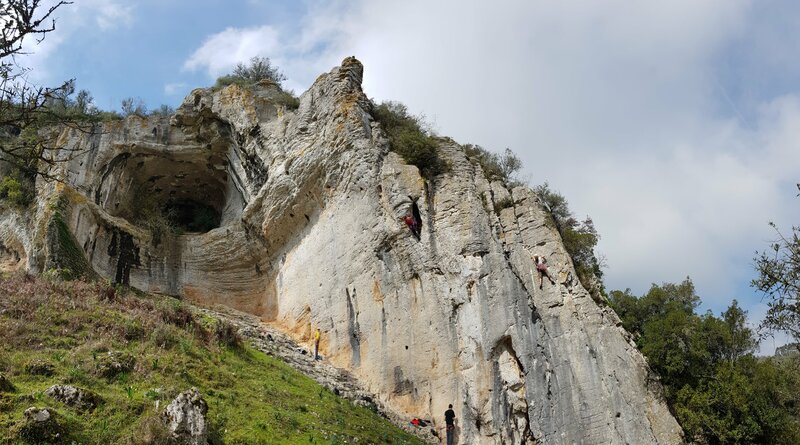 which would have been completely at home in Dovedale (apart from the bolts) and then scratched our heads for options – the handy route grade graph showed a dozen 6s but these were pretty much all in the shade… Time for crag 2! 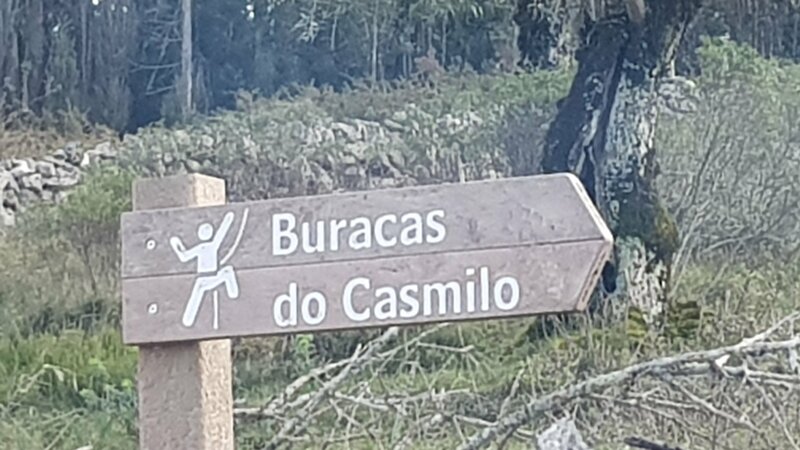 A quick scan of the QR code and Google Maps brought the good news that it was only about 5km to Redinha (as the crow flies 😦 ) Unfortunately, that translated into 35mins if we retraced our steps via the main road or a bit less if we set off cross country on winding and undulating dirt roads – no point in a 4×4 truck if you don’t use it, so off we went! 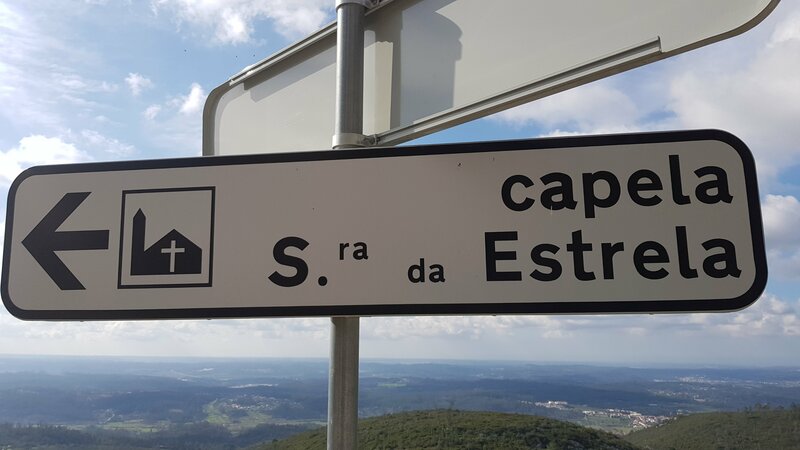 Redinha is actually the name of a second sector just outside Poios, a couple of km beyond the village set high on an escarpment; with the Capela da Senora da Estrella as an unmistakable marker. 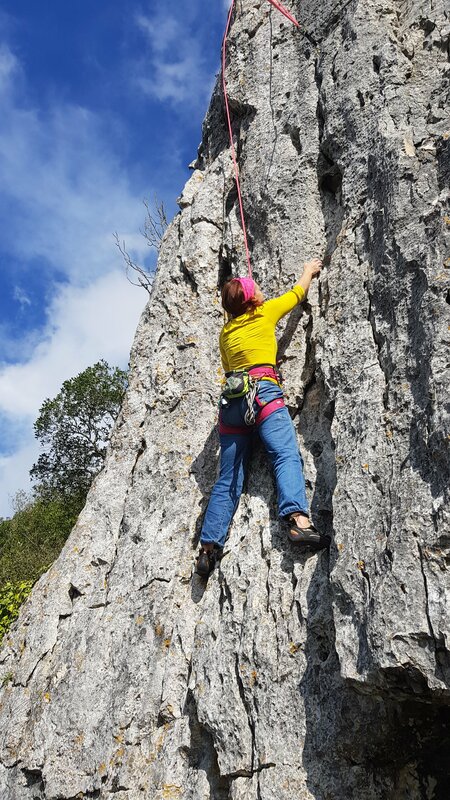 Branco, V+, takes the obvious crack (3* HVS at Ravensdale!) and the newer route to the right (not in the guide) is a very good companion at about 6bish. Another dash to catch the sunset on the beach marked the end of another fine day.